Thanks to TSMC’s 28nm process technology, the company has captured almost 50% of the foundry market, according to Gartner. Since efficiency is the name of the game in the mobile market, it’s critical to have smaller process nodes as soon as possible, and take advantage of them (as a chip maker) as soon as they are ready. It seems that lately TSMC has the most in-demand foundry, as every chip maker has been rushing to make 28nm chips, and the ones that do it early, win big. Take the Qualcomm vs Nvidia case last year, for example. While it must’ve been more expensive for them, and they had some supply issues because of the brand new process, Qualcomm still decided to go with the 28nm node for their Snapdragon S4 chips. What they got out of this is not only a large amount of sales throughout 2012, and many contract wins with new customers, but also a lot of brand recognition. Qualcomm’s chips were considered the standard Android chips in 2010, but in 2011 they remained behind the pack, being able to release only chips at the same clock speed as the Cortex A9-based ones, but with slower performance. In 2012, however, they got back in the game with their 28nm Snapdragon S4 chips, which not only outperformed almost all the other chips, but it was also very energy efficient. Nvidia on the other hand, decided to go the “cheaper” route, and remain on 40nm, even though they were using a small die size, and fitting 5 CPU cores in there. No surprise then that the Nvidia Tegra 3 fell behind other chips in terms of power consumption and performance. If Nvidia would’ve used TSMC’s 28nm node, too, their chip would’ve been a lot more competitive throughout the year. In the near future, it’s going to be even more important for TSMC, Global Foundries and Samsung to try and move to 20nm and 14/16nm as soon as possible, especially considering Intel is trying to enter the foundry business, and make chips for other chip companies, as the PC market declines and they need to fill their own foundries. So now it’s not the time for these companies to take it slow. Some of these foundries should move to 20nm next year, but I think the real battle will happen in 2015, and who will get to 14nm or 16nm FinFET first, is going to win big in the market. My guess is that’s still going to be TSMC, and Nvidia has already said it plans to launch the Nvidia Tegra 6 chip in 2015. 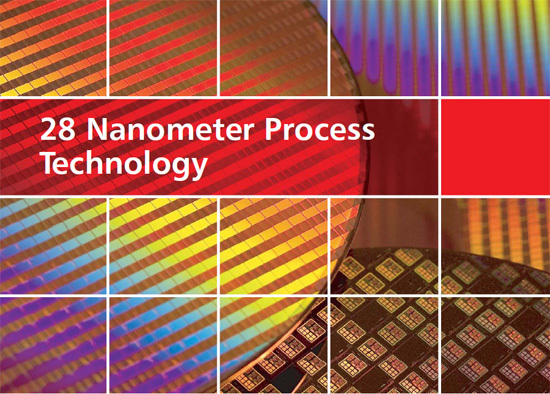 It’s a safe bet then, that TSMC will move to 16nm (only) a year after the 20nm node is ready. Apple is also going with TSMC soon, too, instead of Samsung, so TSMC should have no lack of customers in the foreseeable future. TSMC’s 28nm process technology is going to be only the beginning of a long streak of successes for them.